often manages to be both a pleasure and an ordeal at the same time. The pleasure lies in choosing something you feel somebody you love will genuinely enjoy and anticipating their reaction. This is even more the case if you’ve made just the right choice and they are genuinely delighted with the gift you give them. This is especially true if you’re trying to find just the right birthday gift, since this is one day above all others when you want to make the recipient of the gift feel special and cared for, particularly if the birthday in question is one of those special landmark dates which don’t come around very often. It doesn’t matter if you are looking for a 60th, 40th, 30th or 18th birthday gift, at bonusprint we have gifts for all ages. Our wide range of photo products provides you with enough choice in birthday gifts. All photo products are easy to create and nice to give. Someone who turns 60 deserves to be overloaded with presents and what’s a better present to give than a personalised photo gift? We will give you a couple of examples, but feel free to take a look at all our photo products, you might find an even better 60th birthday gift. By the time someone reaches the age of 60 the chances are that there are many photos taken from special moments. 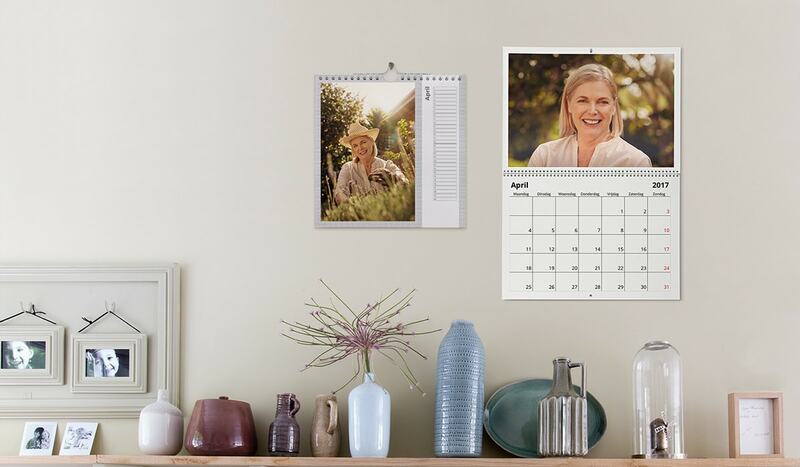 What about turning those photos into a nice year, so that each month the recipient can look at a special moment. You can choose one of our special designs or create your calendar from scratch by using for example a nice photo of the 60th birthday man or woman as the background for the calendar. Or you can also gather the whole of their family together in secret, for example, to take your own relaxed and informal portrait and then visit our website to turn it into a beautiful wall art. If you choose to put the photo on canvas, the photo will be printed on a 100% cotton and stretched over a 2cm thick wooden frame, made from responsibly managed forests. The photo on canvas is UV resistant. You can also give the photo a glossy museum look and feel by printing the photo on acrylic. The photo will be printed onto 5mm thick acrylic, which the 60th birthday recipient can hang in his or her house, office or even outside (as it is UV resistant). The acrylic enhances the colour luminance, depth and detail of the photo giving it a museum look. At bonusprint we have many other wall art choices, so feel free to take a look at our wall art range. If you have many photos of which you are sure the recipient will like to see printed for his/her 60th birthday, you can also consider making a photo collage on wall art. Choose this option in the online editor and you can use up to 15 photos. What is more special to give someone for their 40th birthday than a photo book containing all kinds of special moments to treasure. Looking at photos in a photo book will make it easy to relive those special moments and the recipient can take the book out any time he/she wants. So, search through all the photos you, your friends or – secretly – the recipient has and turn them into a photo book. Another perfect 40th birthday gift is a special photo printed on a wall art, as wall art is a gift for all ages. 30th birthday, a milestone for many young people growing up. 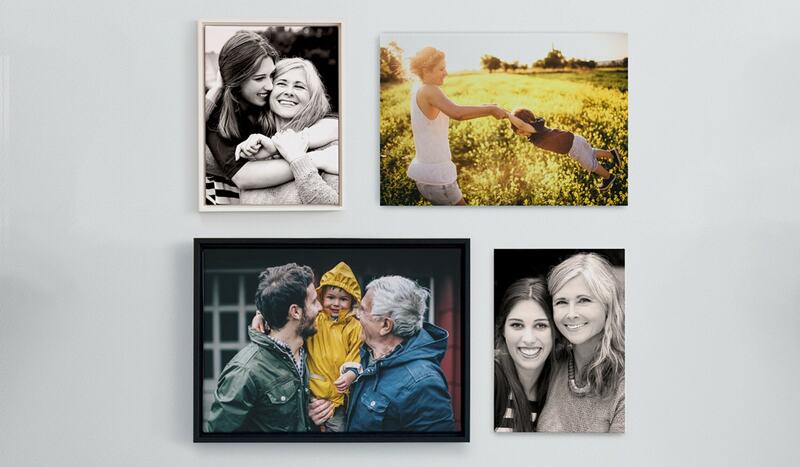 At bonusprint we have the perfect 30th birthday gift, photo prints! 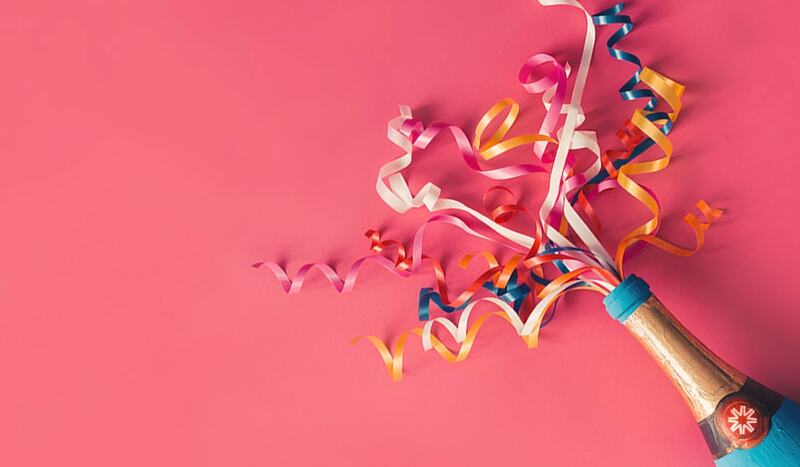 You, friends and family probably have many photos of the lucky recipient who will turn 30 on your smartphone, computer or any other device, which can be easily printed by uploading them into our online editor. The photos will be printed on premium paper, in your choice of gloss or matt and you can choose many different sizes. 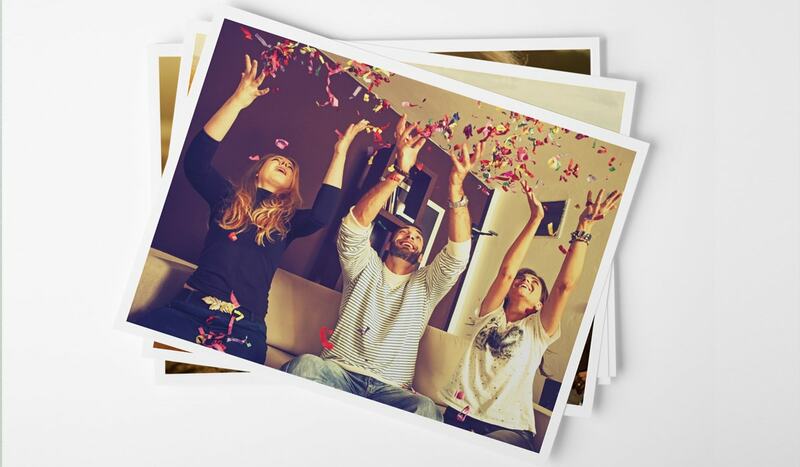 You can put the photo prints in a creative scrapbook or use them as nice table decorations for the 30th birthday party! Download our apps to make the creation phase even more easy. It doesn’t matter what kind of photo gift your want to create for that special birthday, at bonusprint creating products is always easy and fun. Photo books can be created in our online editor or you can download the editor. All our other products are easy to create online, using photos from your computer, tablet or smartphone. You can also download our apps to make the creation phase even more easy. At bonusprint, we ensure you are 100% satisfied with the quality of your product. If you’re not happy with your 60th, 40th, 30th or 18th birthday photo product, please contact our customer care who will be happy to help.